Clean clothing in good condition is always welcome. All clothes are greatly received, whether they are men’s, women’s or children’s. A good rule of thumb is that if you wouldn’t wear it (due to its condition) then no-one else will either. 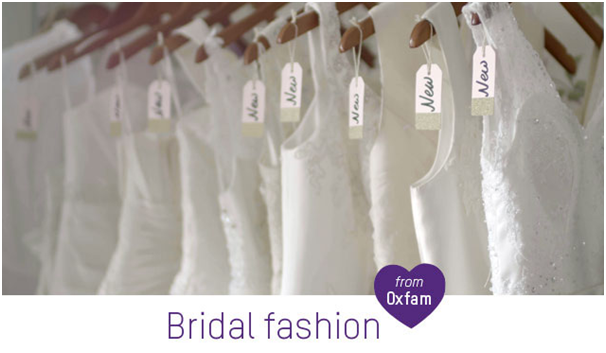 Jewellery in a wearable condition is also much appreciated, as are wedding dresses for some charity stores, like Oxfam. They have 11 bridal departments and willingly accept undamaged wedding outfits. Video games must be unscratched and in a good state, as well as CDs, DVDs and vinyl records. Any DVDs must have an age classification. Clothes that are in a poor condition, damaged, ripped or containing fur are not welcome and mean the charity shop will have to find ways of discarding of it. They often receive mouldy clothing and individual shoes, which are of no use to anyone. Take them to the recycling centre instead. Charity shops cannot sell adult DVDs or those with an 18 certificate but still receive lots of them in donations. Medical items are also generally not desired. One shop did manage to sell both a glass eye and some false teeth but items such as these are generally not well-received. Most charity shops won’t sell advisory books, such as those on law, first aid, tax or exercise as the latest information can change and they don’t want to offer out-dated or misleading information. Good condition fiction books are always welcome though. Second hand safety appliances or gadgets are also tough to sell on, so may not be particularly welcomed. These include items like used bike helmets, inflatables, car seats and even pushchairs. Some stores will accept furniture but it’s always advisable to contact them beforehand and all furniture must still have its fire safety labels attached. Toys can be donated with caution, as long as they are in excellent condition and have the correct safety markings to meet regulations.